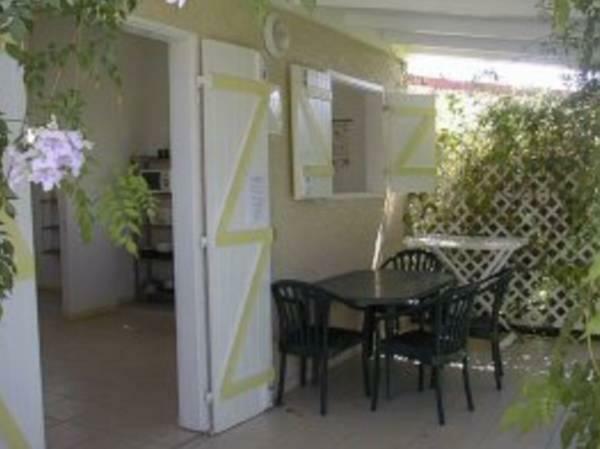 ﻿ Best Price on La Kallina in Grand-Bourg + Reviews! Located on the small island of Marie Galante, La Kallina features an outdoor swimming pool and a garden. Free private parking is available and WiFi is provided at the reception desk. La Kallina’s air-conditioned studios and bungalows are self-contained and feature a closet, TV with cable channels and a private bathroom. Some of them have a private terrace and garden view. A variety of restaurants and bars can be found within 0.9 mi from the property. Activities in the vicinity of the property include hiking, surfing, kayaking and bicycling. Capesterre is a 10 minutes’ drive, while Grand Borg can be reached within 5 minutes. Marie Galante Airport is 3.1 mi from the property. Please note that the front desk is open only from 09:00 to 12:00 and from 16:00 to 19:00. Guests have the possibility of leaving their luggage at the reception between 09:00 and 12:00 if needed.